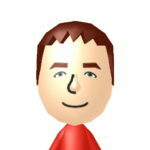 Purely Opinions takes on a Vs. element, as we argue for our favorite upcoming amiibo. At E3 2016, Nintendo announced 3, brand new additions to the Super Mario Bros. line. It’s about time some of Bowser’s grunts got the spotlight. The tragedy is that he’s not alive to enjoy it. 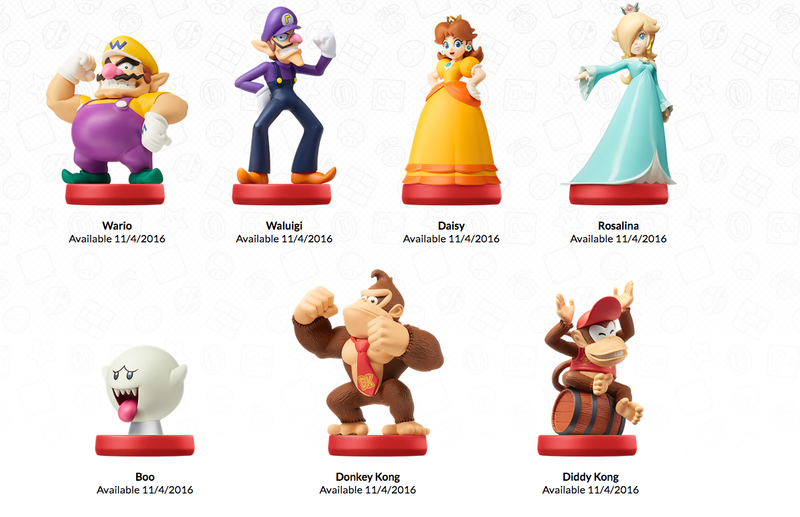 Boo’s amiibo will be available alongside Daisy and Waluigi, better known as the alter-egos of Peach and Luigi. Unlike these two shadows, Boos have stood on their own since the long-past days of Super Mario Bros 3, haunting the walls of the Koopa King’s many fortresses. It wasn’t until their next title, Super Mario World, that Boos really caught their stride inside maze-like haunted houses. Boos also have the advantage in their sheer numbers. Levels may only have a handful of Koopa Troopas, but if Mario is not quick but careful, boos will be on his back in swarms. Not ones to rest on their laurels, packs of boos could be found haunting the corners of every major Super Mario title to date. Boos even care for their fellow ghosts, as seen when they teamed up to free the unfortunate souls trapped in paintings within Professor E. Gadds laboratory. Who are the living to decide the fates of the dead? In amiibo form, Boo goes above and beyond the call by glowing in the dark. How many other amiibo can you say that about? None, that’s how many! Between the three choices, the hard-working boo comes out clearly ahead of these other two. When a Miitomo question asked me who I thought of when hearing the word Princess, I didn’t answer Zelda or Toadstool (Peach). Daisy was the first character that came into my mind. Maybe it’s because I have a tendency to root for the underdog? Daisy hasn’t gotten nearly the representation that she deserves. 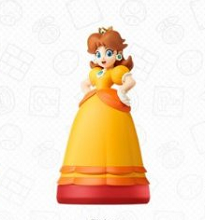 So that’s why, of the new E3 announced Mario-themed amiibo, Daisy is my favorite. I admit that Waluigi gave me a real pause, as he sports the best mustache in gaming. And glow in the dark is a fun gimmick. But a Daisy amiibo is long overdue. Seriously, she’ll be launching alongside the second variation of Rosalina. Better late than never though. It’s also cool to see another female character added to the amiibo lineup. 2016 has so far brought us characters like Celeste (Animal Crossing), Midna riding the back of Wolf Link (Twilight Princess), and more. Daisy will make for a fine addition. Are you an amiibo collector? If so, come November 4th, your wallets might very well be empty. But for those who only put down cash on a select few, like myself, you’ll have a choice to make. Are you with team Daisy? Like she says in Mario Kart 8, “I’m the best”. As an amiibo collector, I have to admit that I am not a fan of the Super Mario Bros. series of amiibo. To me, I’d rather see new characters made into awesome collectible statues than simply redesigning ones that have already gotten a release. Sure, I’m a big Daisy fan as much as the next Nintendo enthusiast, and yeah, a glow in the dark Boo will definitely look good on my shelf. Despite these new additions though, I just couldn’t get excited, until I saw that purple cap and upside down “L”. The wait was finally over. We were getting a Waluigi amiibo! Although his first appearance was in Mario Tennis for the Nintendo 64, it didn’t take Waluigi long to become the character that winners chose. Whether it was Tennis, Go-Karting, or a good old fashioned Mario Party, that purple cap and magnificent mustache was a sign of guaranteed victory. Waluigi is such an oddball character that you can’t help but love him, and the fact Nintendo listened to fan’s cries for a Waluigi amiibo fills me with hope that he may get to enter the spotlight more. Who knows, maybe one day Waluigi could star in his own game? Day dreaming aside, when it comes to the brand new amiibo from the Mario Bros, series, I’m team “Wah” all the way.